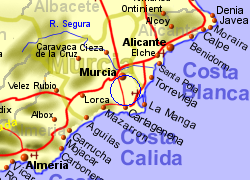 The small town of Roldan lies in an agricultural area (growing citrus fruit and vegetables) approximately 15 km inland from the Mar Menor. The town has a number of bars and restuarants. 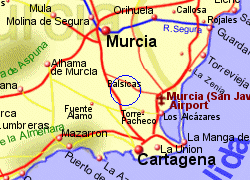 Just to the north lies the golf resort of La Torre which has it's own "Town Centre" with shops, bars and restaurants. 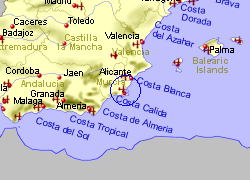 Map of the Roldan area.